Shooting in March. $30,000 raised! –> see KS video here. 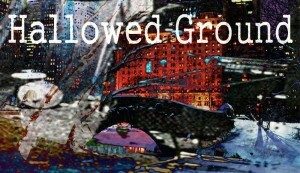 Brett plus four other fine actors have been cast in Hallowed Ground, to be presented by Dirty Blondes. HALLOWED GROUND is a one-night performance examining the balance between the search for wealth and the search for inner peace. The evening will use performance of Humans of New York confessions to create a commentary on the classical texts such as Death of a Salesman and The Glass Menagerie that challenge a New Yorker’s unique sense of purpose and fulfillment in trying to live a happy life within the constraints with a world ruled by wealth. What is the definition of a valuable life? What is the balance between the pursuit of freedom, artistic or otherwise and the pursuit for financial security? How do you carve out a life, and make a living?